I opened the hatch to our rooftop deck this morning to check on our plants only to step out and be welcomed by frost underfoot. 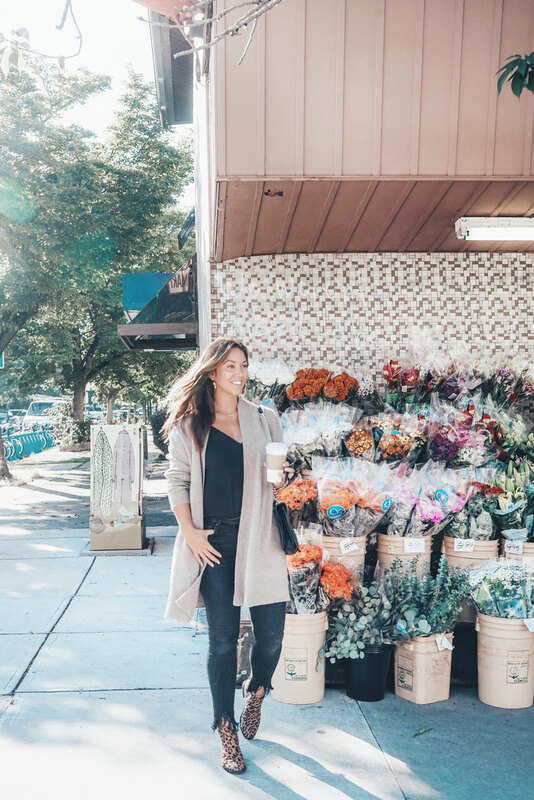 It’s official – fall is definitely here! Even though the sun is still shining (which I am so happy about PS), there’s definitely that crispness and brightness that always signals those few days every September when summer’s softness gives away to fall’s briskness. 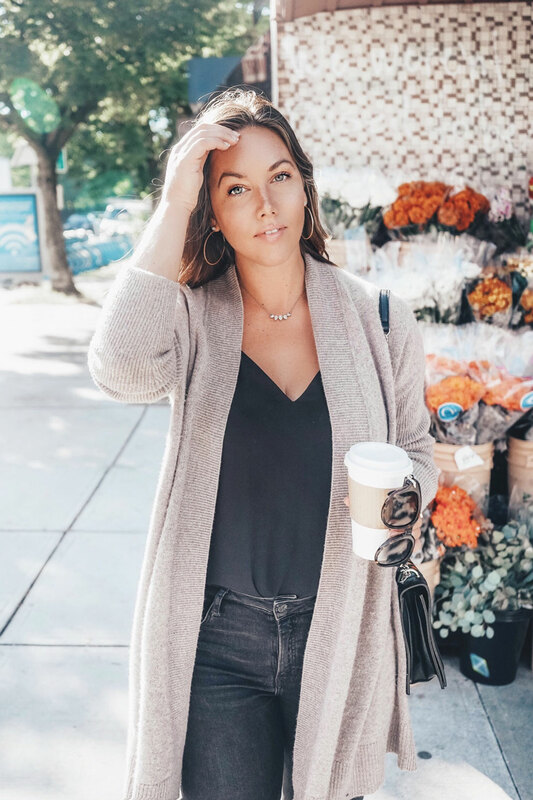 And as soon as that transition begins, I always feel the pull for the same few things sartorially: cozy knits, soft cashmeres, bundled layers and luxe prints! Leopard is something that just feels so right for the fall. It’s a little bit extra but somehow beyond wearable, and I especially love it paired with the most basic autumn look. It just instantly elevates an otherwise super casual outfit with a little bit of glam, a little bit of luxury and a little bit of visual interest thanks to its classic print. Throw in a few accessories and you’re set – these Chelsea boots were from Joe Fresh last year but these Kendall + Kylie boots are on sale for under $175 are great options, or these Sam Edelman boots for sale right around the $100 mark (more than 50% off!). This bag is another older find from Nine West (sorry guys, I like to recycle my pieces!) but I am so obsessed with this Michael Kors one for right around $50! Such a great price, and also around 75% off its original price – what is with all these amazing sales right now?! As for the rest of my look, it’s all about basics, bebeeeee. My distressed Mavi Tess skinny jeans have been a fave style of mine for years, as well as the classic Aritzia cami. 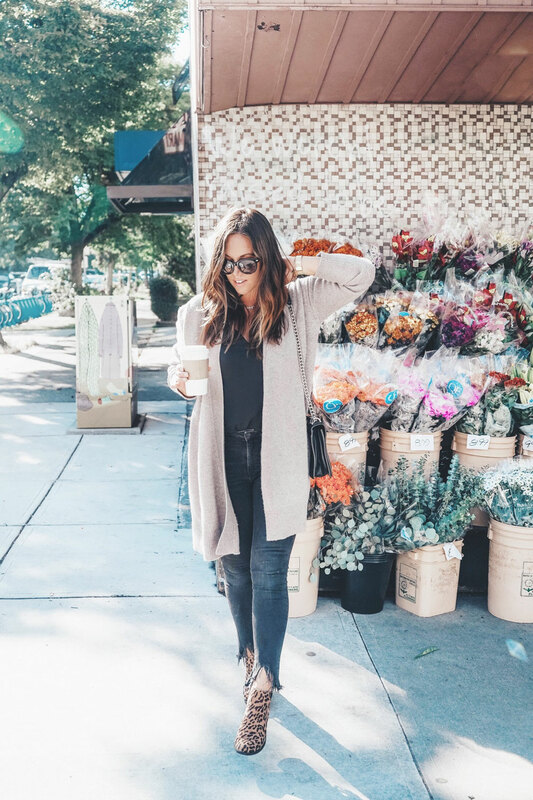 This Halogen cardigan is currently sold out (might come back soon though, it’s so worth it if you can nab it again – see it styled up here too! 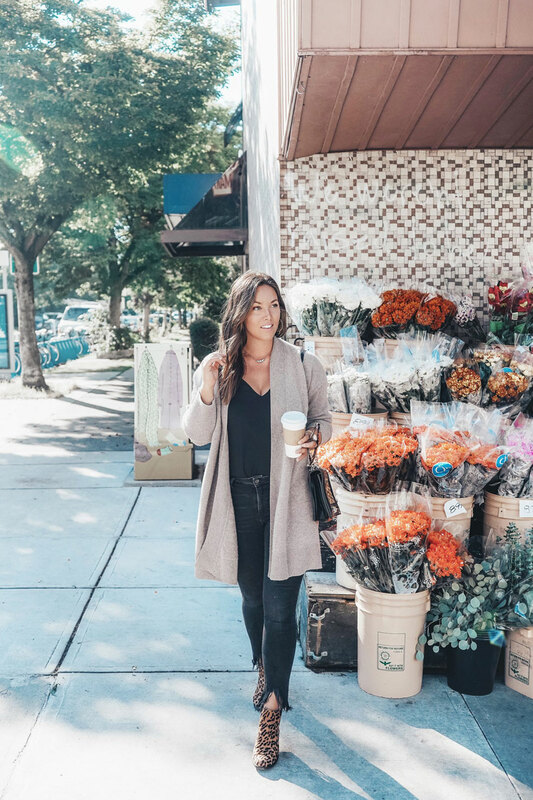 ), but as you guys know, I’m obsessed with White + Warren and have been a longtime fan of their cashmere trapeze cardigan too – it’s an essential! 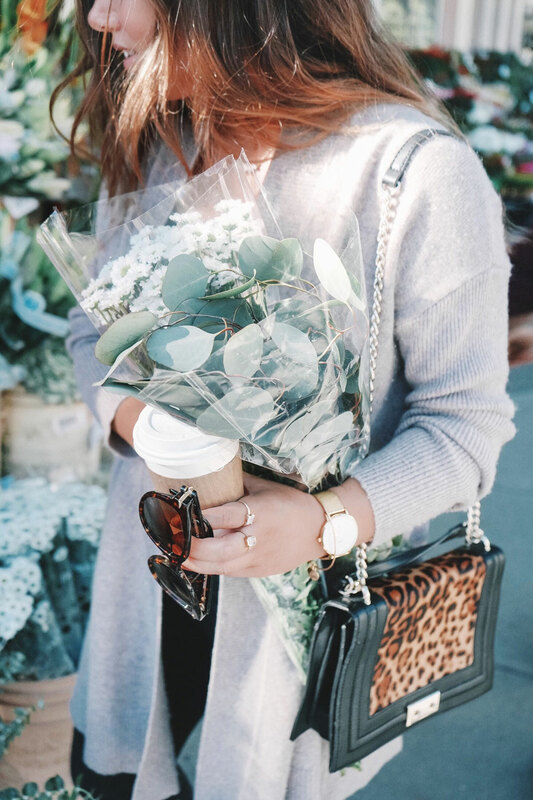 Jewels by Leah Alexandra, Sarah Mulder and my fave mesh from Cluse complete the look, though I’m loving the idea of adding a touch of leopard to your wrist instead with a watch like this one from Nine West. Finally, my sunnies! My Rag & Bone sunnies kind of echo the leopard print with their tortoise shell pattern, they’ve been my go-to this summer and a lot of you have been DM’ing me on Insta for product details so there you go! You can find them at Nordstrom. What styles or pieces scream fall to you? 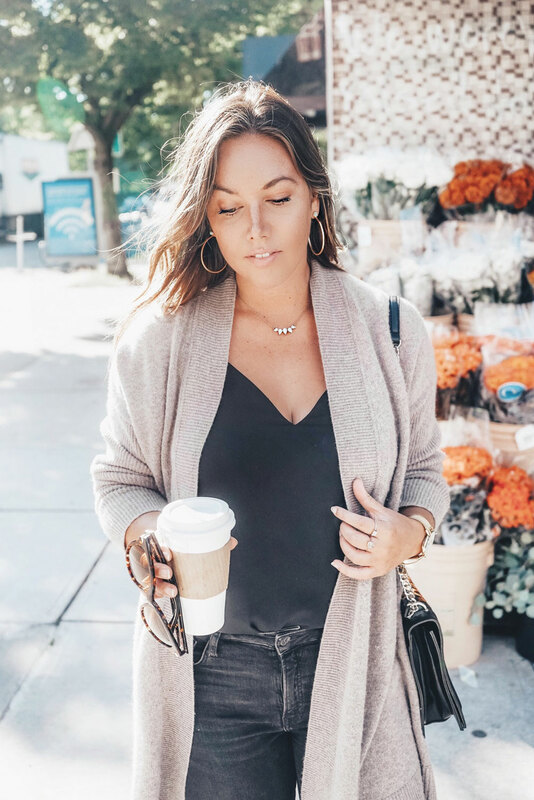 Can’t wait to keep sharing more fall style but if you guys have any requests, I’d love to cover it! Tell me in the comments below! Lovely pictures and nice watch! Love the cardigan. 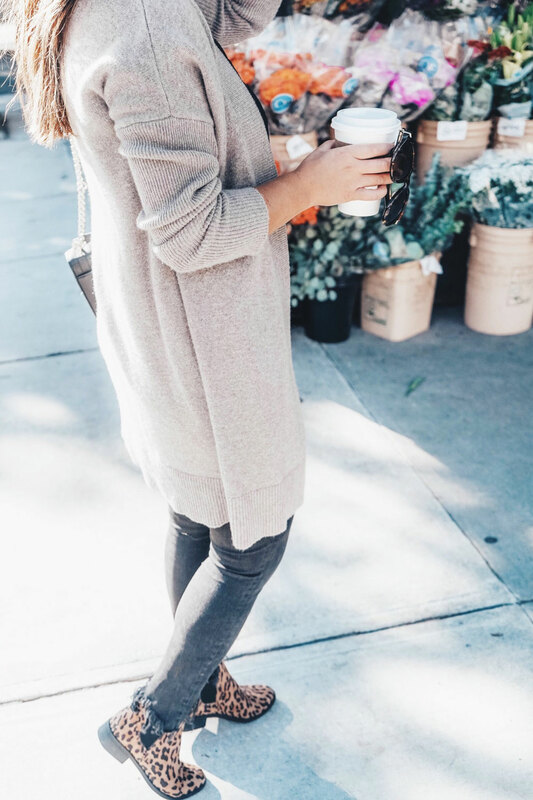 I will definitely add more cardigan in my closet this autumn.